The Sennelier Soft Pastel 'à l'écu' is a unique tool for pastel artists who have a passion for tradition and quality. At the end of the 19th Century, Gustave Sennelier spent several years developing the Sennelier range of extra soft 'à l'écu' pastels. This collection created the largest chromatic pastel spectrum. The collection was further developed in 1948 and again recently at the beginning of the new millennium. Sennelier pastels are still made acccording to traditional methods. The 'à l'écu' extra soft pastels are made from an extremely pure, selected pigment and a natural binder. The smoothness and velvety quality of these soft pastels result from a perfect balance between these two materials. 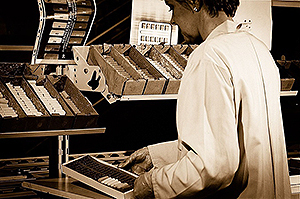 The Sennelier Products are manufactured using traditions that span back 130 years. The passion of chemistry and colours still guide the descendents of Gustave Sennelier. 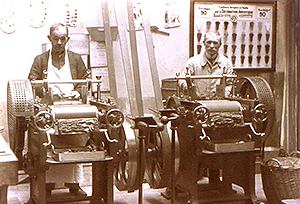 The traditional workmanship needs very few machines and the recipes are made with tradition and innovation. Pastels are a mix of a pigment and binder. Before grinding, it is mixed together in a uniform way. The quality and the large quantity of the pigments used are the key to exceptional colour. Grinding by hand on a granite slab in 1887, it is still with the same attention that the grinding is made. 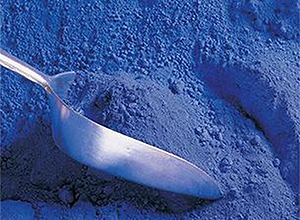 The mix grinds slowly for a long time in order to obtain the finest pigment possible. The pastels exceptional luminosity is a result of the naturally occurring minerals discovered by Sennelier in 1905 from the Champagne region of France. These minerals, which are still used today, are added to each hue to create a palette of colours that range from pure saturated pigment to almost with tints. The original purity of the pigments, whose smoothness varies according to their individual chemical composition can sometimes result in variations in softness. However, this insures that the pastel keeps its special brilliance and intensity. The exceptionally high lightfastness of the new pigments such as the 'quinacridones' and 'pyrroles' organic red or the 'spinelles' mineral browns guarantees that your work will last longer. The combination of traditional manufacturing methods, the advances in modern chemistry and the recently developed pigments enables Sennelier to give today's pastel painters a revitalized palette of 525 shades. A full colour chart of Sennelier Soft Pastels can be downloaded here. You can see a full list of the Sennelier pastels that we stock by clicking here.